This is a 14 night tour that will take you on a journey throughout the whole of Ireland, visiting the counties of Dublin, Waterford, Cork, Kerry, Clare, Galway, Donegal and Belfast. This comprehensive Ultimate Ireland Tour includes visits to counties throughout the island of Ireland including Northern Ireland. Although this tour does consist of quite a bit of driving, it will provide the traveller with many wonderful memories of the varied scenery and cultural differences encountered throughout the many counties of Ireland. It is not just scenic charms and culture that differ but also in the spoken word with a huge difference in people’s accents and dialects as one moves from county to county. While accents and scenery may change throughout the entire breadth of Ireland there is one constant:– The warm welcome and laidback friendly nature of her people. While taking in the many historical and scenic attractions included in the tour itinerary are very important getting to relax, have fun and enjoy the craic whilst getting to know the local people and their culture upon your travels is a key factor in any trip to Ireland, adding to the overall experience. 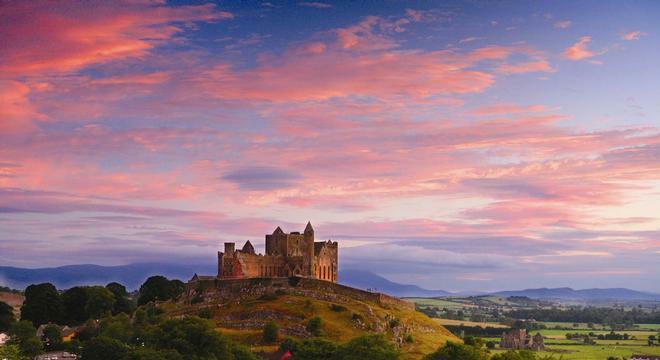 In terms of attractions there is much to see on the tour including to Powerscourt gardens in Wicklow,Waterford Crystal Factory in Waterford, as well as the Rock of Cashel and Cahir Castle in Tipperary further inland. 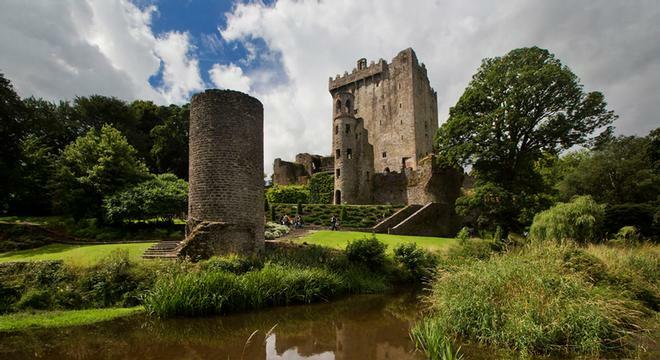 In the Cork/Kerry region, the highlights include visits to Blarney Castle as well as the Cobh Heritage Centre (as part of the Titanic Trail). 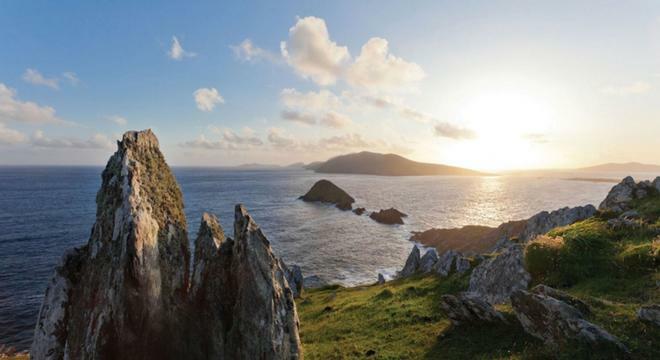 Onwards to Kerry one can tour the beautiful Ring of Kerry and Dingle Peninsula. After the counties of Cork/Kerry lies a trip to the West of Ireland with the Cliffs of Moher in Clare, Galway City and the remote Aran Islands key highlights. Upwards on ones journey one will take in the remote and scenic counties of Sligo (home of Yeats) and Donegal before heading into Northern Ireland. 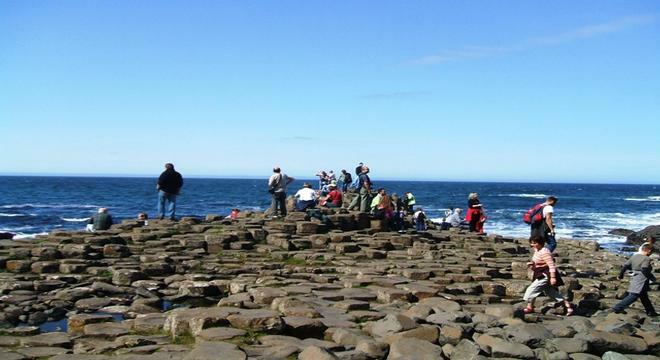 Whilst there why not walk the walls of Derry or take in the spectacle of the unique land formation the Giants Causeway in Antrim . This section also gives one a chance to visit Belfast and learn about its often turbulent past through the words of local impartial and professional guides. After Belfast it is back to the south to the attractions of Dublin, such as the Guinness Storehouse and Trinity College possibly taking in on the way Irelands most visited attraction the Ancient Megalithic Ruins of Newgrange. To book or customize this tour please call us in Ireland Toll free from the USA on 1 800 963 9260 or complete our short enquiry form. Deluxe Accommodation in our 4 & 5 Star Irish Castles. Luxury Accommodation & Service in our 4-Star Country Manor Houses. Superior & First Class Hotels. Our Recommended & Handpicked B&B's. Rental of a economy-size car including all fees and taxes, CDW, theft protection and location service charge. Heritage guide to Ireland including admission special offer. Free calls to your personal vacation in Ireland specialist. At Discovering Ireland Vacations we have developed a suggested itinerary for the Ultimate Ireland Tour thanks to the feedback received from guests throughout the years. View the suggested itinerary by clicking here.